Hopeline hotlines 02-804-HOPE (4673); 0917-558-HOPE (4673); or 2919 (toll-free number for Globe and TM subscribers). Growing evidence showed that social media can influence pro-suicide behavior. The 2012 study on “Social Media and Suicide: A Public Health Perspective” (David D. Luxton, PhD, Jennifer D. June, BA, and Jonathan M. Fairall, BS) cited the role social media, might have in suicide-related behavior. The rise of pro-suicide, social media sites may pose a new risk to vulnerable people who might not have been exposed to these potential hazards. Media also plays an influence on suicidal behavior, and suicide methods used. Cyberbullying and cyber harassment are prevalent problems. An increase in publicized cases of suicide in 2011 involved social media. Another paper came out on “Increases in Depressive Symptoms, Suicide-Related Outcomes, and Suicide Rates Among U.S. Adolescents After 2010 and Links to Increased New Media Screen Time” (Jean M. Twenge, Thomas E. Joiner, Megan L. Rogers, Gabrielle N. Martin) in 2017. The study discovered that adolescents who devoted more time online such as social media were more likely to report mental health issues. Psychiatrist Dr Dinah Nadera says “that sense of lack of social connectedness is very, very prevalent…. They’re connected but they can’t seem to have a trusted person”. Without experimental evidence, one is unclear that the rise in new media screen time causes the increase in mental health issues after 2011. Three earlier studies, however, provided evidence that “screen time in social media use, may cause depressed mood rather than vice versa, at least among adults.” The research concludes that adolescent mental health issues rose since 2010, among females. New media screen time is both associated with mental health issues and increased over this time period. The relationship between social media use and depression remains a controversial topic. A study in 2018 by San Francisco-based social innovation group called HopeLab did not find a correlation between use and self-reported depressive symptoms. Despite the lack of conclusive studies, I cannot stress enough that our digital well-being matters. It is best to disconnect when called for and create healthy habits for ourselves. There is hope. 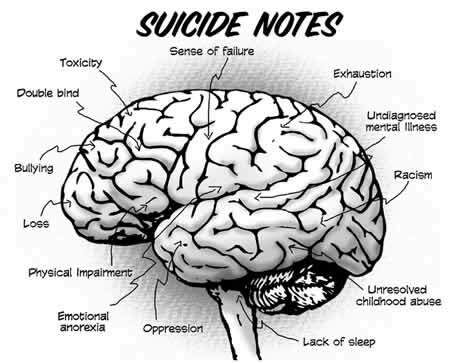 WHO believes suicide is preventable with timely, evidence-based and often low-cost interventions. We need a comprehensive multisectoral suicide prevention strategy for national responses to be effective. This is where Mental Health Law (RA No. 11036) comes in. The law provides affordable and accessible mental health services to Filipinos if implemented well. Social networking sites for suicide prevention can facilitate social connections among peers with similar experiences. Know of legitimate sites to increase awareness of prevention programs, crisis help lines, and other support and educational resources. A Facebook page called “Anxiety and Depression Support Philippines” (ADSP) is a mental health support group run by volunteers. The page has closed Facebook group where people can vent their feelings, meet new people, ask questions without judgments. Natasha Goulbourn Foundation (http://www.ngf-hope.org) started Hopeline, a depression and suicide prevention hotline to help those suffering from depression. The numbers to call are ?02-804-4673 and ?0917-558-4673. Globe and TM subscribers may call the toll-free number 2919. 10 years ago, I added a Suicide Prevention page (https://aboutmyrecovery.com/suicide-prevention/) in my blog to save a life. What if each one of us do their share in saving a life by educating ourselves and our community? Let us take advantage of current suicide news to educate people and/or ourselves about suicide and mental health instead of spreading hate and fueling stigma. Use social media for good. ADSP warns about sharing any photos and videos that describes the suicide and self-harm related content. Why? It could trigger other mental health warriors. It could encourage copycat self-harming or suicide. None of us can fathom their pain so let’s stop judging people who suffer from depression. Stigma, surrounding mental disorders and suicide, means many people thinking of taking their own life or who have attempted suicide are not seeking help and not getting the help they need. By raising awareness and educating the public, we can SAVE lives. A person talking about how they feel reduces their distress; they also see other options and are much less likely to attempt to suicide. Talking the situation over with a caring person helps whether you’re in a crisis yourself, or worried about someone else who is. You don’t have to wait until the deepest point of crisis or until you have a life-threatening problem before you seek help. Hopeline hotlines 02-804-HOPE (4673); 0917-558-HOPE (4673); or 2919 (toll-free number for Globe and TM subscribers). The Department of Health manages the Hopeline. Support is out there.